Otherwise known as zits or spots, pimples can be best described as a bulge on the skin surface. They can occur anywhere in the body while the most common region being “face”. Though there is no particular age or time frame for pimples to arise, they often occur during a person’s teenage. 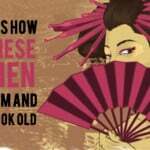 They are normal, and there is nothing to worry unless the case is severe. 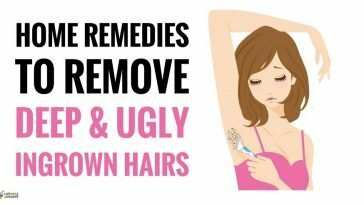 However, if you wish to see them fade faster, these 15 home remedies for pimples are something you need to try. Before we list them to you, understand a few things. Let’s see how to get rid of pimples. Note: Health experts forewarn against poking or squeezing of pimples because the infection might worsen, and the healthy skin around can be damaged. Accumulation of Dead Skin Cells: Just like hair, even your skin sheds dead cells. A few of them are attached to the sebum, which causes the skin pores to block. The same pores can cause pimples. Pimples Due To Teenage: Teenagers are more prone to pimples because their bodies go through drastic physical changes. The production of oil in sebaceous glands is more, as the body gets prepared for reproduction. The extra sebum is logged in the pores and pimples are formed. Growth of Bacteria: The sebum is not the only culprit; even bacteria are in the fray. The name is Propionibacterium acne. Pimples formed by these bacteria can be painful, as they feed on the oil. Dairy Products: Having a high quantity of sugar in the diet has been found to cause pimples as well. It is advisable to follow the right diet. Makeup: It is well known that the ‘first impression is the best impression’, and the best one is made within seven seconds. You can apply makeup for an entire changeover. However, heavy makeup (if you are allergic to chemicals) can cause pimples in the puberty stages. It is mandatory to remove your makeup before going to bed. Stress: During stress, a hormone called adrenalin is produced to handle the situation. The body functions are upset during the period. In fact, stress can be a trigger for pimples. The size of the pimples vary. They can occur on the back, face, neck, chest, and shoulders. If you have oily skin, you are more likely to suffer from this ailment. However, this doesn’t mean that people with normal or dry skin cannot be affected. Usually, pimples are noticed as swelling or elevations in different shapes and sizes. They may (or may not) have fluid. The tissues beneath the pimples will be red due to swelling and inflammation. Other parts of the body affected by pimples are back and chest. To get rid of pimples, you can try some natural remedies. This not only saves you from side effects but also from money. 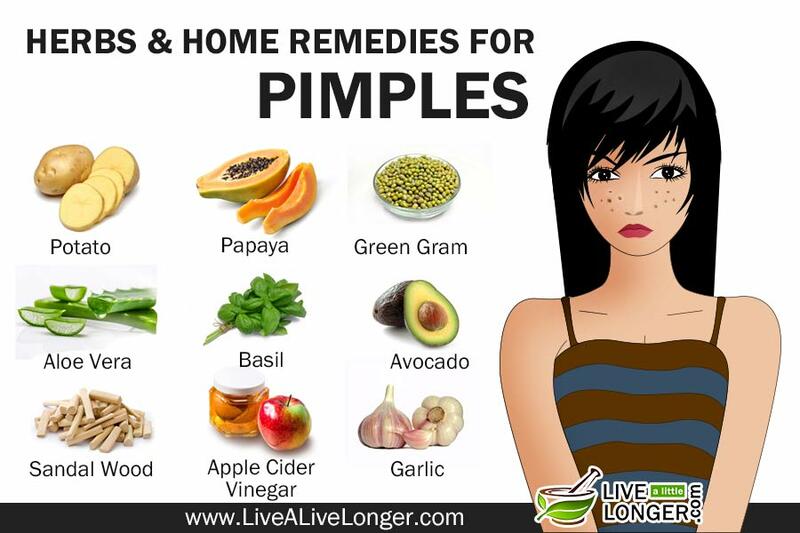 Note: For some, simple remedies and common ingredients from kitchen easily work on their pimples. However, the case is not the same for all. Hence, apart from simple home treatments, we thought of listing you some rare herbs and blends as well. On the other hand, if your pimples are severe or they keep occurring frequently, consult a dermatologist for proper care. 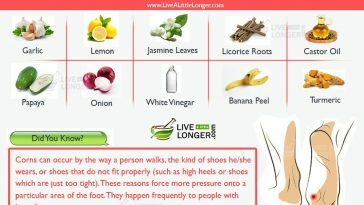 In such cases, home remedies may not work or the healing time can be too long. Scientifically known as Abutilon indicum, Indian mallow is a woody, erect plant with green-grayish colored leaves. The chances that you have heard about this herb are rare. It grows to a height of 1 ½ meters, whose bright yellow flowers bloom only in the evening. Indian mallow has many uses. It used in the treatment of fever, epilepsy, ulcers, piles, ascaris, abscess, worms, carbuncle, diarrhea, hives, etc. Since it is admired for its natural antibacterial properties, it helps in healing all kinds of external wounds. It treats the inflammation, reduces pain. In fact, it can be even used as a mouthwash for soft gums and toothache. Sesame oil (also known as gingelly oil) helps the skin from cracking and drying. It nourishes from within. In fact, they are mostly used for massaging. It is extracted from sesame seeds and is widely used in Chinese, Middle Eastern, and Japanese cuisines. Whether it is internal health or external health, sesame has a lot to offer. Right from nourishing your skin and hair to cleaning your internal organs, there is nothing that sesame can’t do. The reason is its natural minerals, vitamins, and compounds. It helps in the treatment of depression, anxiety, bone growth, etc. Garlic, scientifically known as Allium sativum, has been long known to have therapeutic effects. 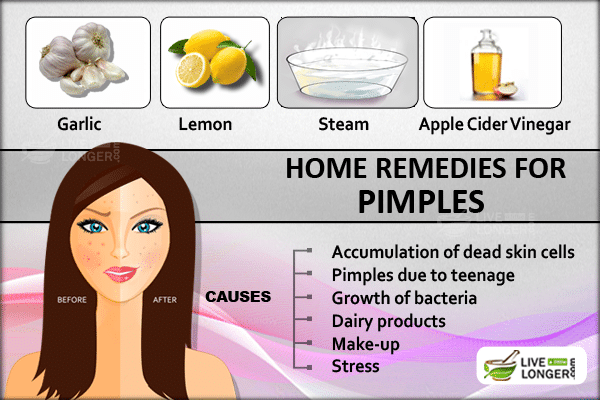 It is one of the best home remedies for pimples. It banishes those unsightly blemishes much faster. It kills the bacteria that cause an infection. 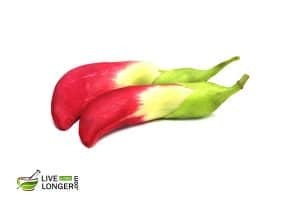 Hence, blending it with Indian mallow leaves could be great. Step 1: Take a piece of garlic, a few Indian mallow leaves (chopped), and 3 teaspoons of organic sesame oil. Step 2: Fry the Indian mallow leaves and garlic in gingerly oil for a few minutes on low heat. Step 3: Strain the decoction. Step 4: Apply on the pimples and leave it overnight. Step 5: Wash off in the morning. Follow this for a few days until your pimples disappear. 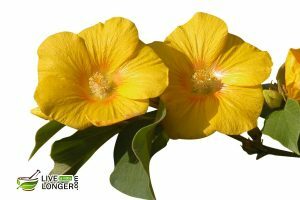 Indian mallow contains some essential compounds like vitamin A, E, C, terpenoids, phenolics, and flavonoids to heal a skin infection. On the other hand, it’s antifungal, analgesic and anti-microbial properties help in killing the microbes and fungi that cause the infection. 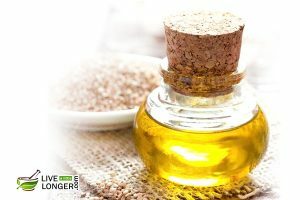 Sesame oil has an active compound called lignans that help in nourishing the skin deeply. Lignans have unique physiological and chemical properties that are often credited for being the most powerful antioxidant. Also, it acts as a natural sunscreen. It helps in resisting about 30% of ultraviolet rays. 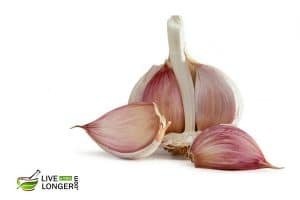 The reason for garlic to act quickly upon pimples and help them heal faster is due to a compound named allicin. 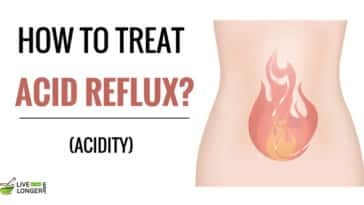 Once you eat garlic, your belly digests allicin and then breaks into sulfenic acid (a potent antioxidant). 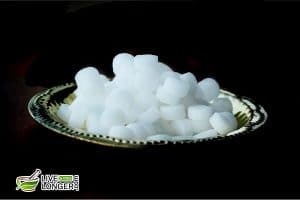 In fact, it is one of the natural sulfurous foods, which are rich in dithiins, sulfoxides, and thiosulphanates. You have anxiety problems. Smelling the scents of Indian mallow leaves (while chopping) can worsen it. You are allergic to any of these ingredients. You are suffering skin rashes. Sesame might worsen it. You consume it. The remedy is only for topical application. 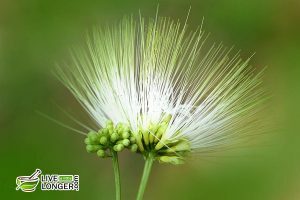 Lebbeck Tree Flower (scientific name: Albizia lebbeck) is native to Northern Australia, New Guinea, and Indomalaya. People often call Lebbeck as Siris tree. Whatever the name is, the best thing about this herb is that it has multiple healing effects. The leaves, barks, fruits, roots, and its flowers are used as medicine. Saponins from this tree are often used for making soaps. 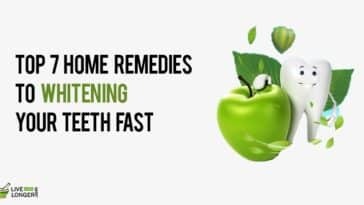 Coming to health benefits, it promotes healthy teeth & gums, treats inflammation, purifies the blood, great for the respiratory system, heals allergies, etc. According to studies, the ethanol extracts of its pod is highly effective against certain cancer types. In fact, a few parts of this tree are also used for treating impotence and eye problems. Sandalwood is of many types. However, the ones that grow in India are claimed to be the best. The Indian Sandalwood (scientific name: Santalum Album) offers the best quality. 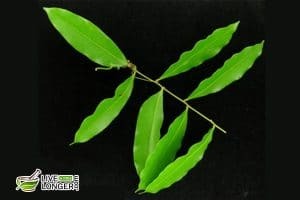 However, two other varieties include Hawaiian Sandalwood (scientific name: Santalum Ellipticum) and Australian Sandalwood (scientific name: Santalum Spicatum). For ages, sandalwood has occupied a position of respect and dignity in different religions and civilizations around the world. Hindus consider it indispensable and holy in their religious ceremonies and rituals. Besides being sacred, it is also blessed with multiple benefits. Whether it is your skin, hair or body, sandalwood has its key role in healing a problem. It has antiseptic, anti-inflammatory, astringent, and antispasmodic properties. Step 1: Take 1 or 2 Lebbeck tree flower, ½-teaspoon sandalwood powder, and ½-teaspoon turmeric. Step 2: Grind them few drops of water (or rose water if you like). Step 3: Apply this paste on your pimples and leave it overnight. Step 4: Wash with warm water in the morning. Step 5: Repeat for a few days until your pimples fade away. The seeds of Lebbeck tree are fortified with calcium, crude protein, phosphorus, ascorbic acid, niacin, iron, and other vital amino acids. 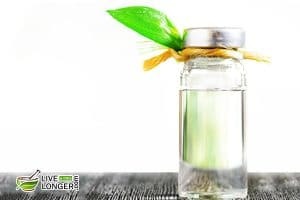 Now, talking about its flowers and leaves in specific, a paste made of them helps in treating various skin problems like wounds, bites, and insect stings. 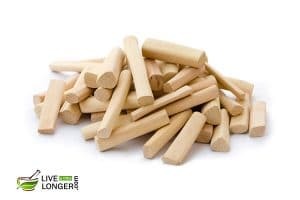 The reason sandalwood is often used for treating skin problems is due to the presence of some organic compounds like beta-santalol and sesquiterpenes alpha-santalol. The α-santalol is therapeutic with protective, enigmatic, and healing properties whereas β-santalol gives the sandalwood its strong fragrance. 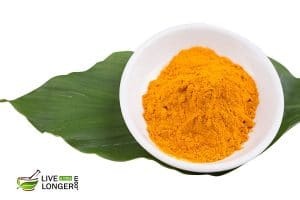 An active compound in turmeric, known as, curcumin has antioxidant, anti-inflammatory, antifungal, antiviral, and antibacterial powerhouse. Hence, they help in healing the pimples much faster. You are suffering from vomiting and nausea. The scents of lebbeck flower can worsen it. You are allergic to any of their compounds. Step 1: Add apple cider vinegar (2 tablespoons) to a glass of water. Step 2: Add the mixture and consume every day. Follow the process for a month. The toxins and impurities will be flushed out from the body. Pimples will not appear. Step 1: Dilute one tablespoon of apple cider vinegar with water and apply topically. Step 2: Aloe Vera juice (one tablespoon) can be added to the mixture. Step 3: Wash your face and pat dry. Apply on the affected areas for a month until you see the difference. The alpha-hydroxy acid in vinegar exfoliates the dead skin cells, and the process of skin rejuvenation takes place. Apple cider vinegar also assists in maintaining the pH level of the skin. If you are using it for the first time, then do not allow the mixture to stay for too long. You can rinse the affected area before five minutes. The first time you might feel a sting, but you can gradually increase the concentration of ACV in the mixture. Ensure the mixture is always diluted with 50% of water. 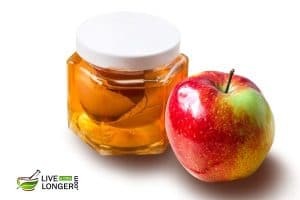 If your skin is allergic to ACV. Apply the mixture on the forearm before going for the entire topical application. Step 1: Take a large bowl of water and boil it. Step 2: Check the temperature before inhaling the vapor. Step 3: Place a towel over your head to cover the face. Inhale the vapors. Step 4: After ten minutes, remove the towel. Step 5: Rinse the face with cold water and if needed, apply a moisturizer (oil-free). Step 6: Continue the procedure on alternate days for two weeks to get rid of pimples. The heat assists in opening the blocked pores and makes the skin breathe. Bacteria, oil, and dirt that are inside the skin will be pulled out. Blackheads can be softened, but consistent treatment is necessary to eliminate them. The easiest method to prevent pimples from making a mark on the face. You have a severe problem of pimples. You cannot cure the pimple challenge by this method. You use this method frequently. Steaming can increase inflammation and redness. Step 1: Cut the branch of an Aloe Vera plant exactly at the tip. Step 2: Turn the branch and derive gel in a bowl. Step 3: You can clean the face with water and then pat dry. Step 4: Then apply the gel on the face and let it stay for 15 minutes. 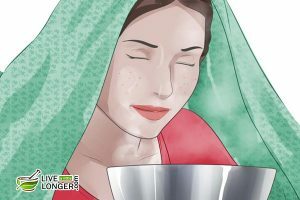 Step 5: You can then wash the face with pure water. 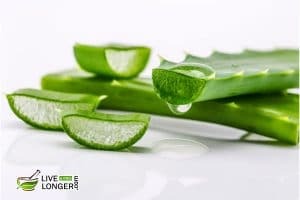 The hormones in aloe vera are called gibberellins and the polysaccharides, which have the potential to eliminate pimples. The component called as anthraquinone present in Aloe Vera enhances the skin’s nutrients, restoration of cells in the skin. The other component is salicylic acid that regulates the pH balance of the skin. Now you know how Aloe Vera can cure pimples. You are allergic to the plant (of Liliaceae family) such as tulips, onions, and garlic. You may experience burning and itching. So kindly apply some paste on a normal area to test and then after some time, if no reaction occurs on the infected areas. Step 1: Take a lemon and squeeze the juice. Step 2: Add a small cup of water to the juice. Stir well. You can also add honey (one tablespoon) as an alternative to water. Step 3: Dip a cotton ball in the bowl and apply on the affected areas before going to bed. Step 4: You can wash the areas with warm water. Step 5: Continue the procedure until you get positive results. Since lemon contains citric acid, the old cells are eliminated, and the pores will get unclogged. The excess sebum will be drained out from the pores. The other benefits of applying lemon are it lightens the skin thus shading out the scars that were the result of pimples or acne. The alpha hydroxyl acids in the lemon juice can stimulate exfoliation by eliminating the external layer of dead skin cells, improve blood circulation, and stimulates new cell growth. You have sensitive skin. Application of lemon juice can harden any skin. The best way is to mix with honey. You have severe skin allergies. The citric acid may worsen it. You have dry or peeling skin. Lemons can make it worse. Step 1: Take some fresh Quassia indica leaves. Step 2: Clean them properly. Step 3: Grind them in a mixer with a few drops of water. Step 4: Apply the paste on your pimples and leave it for 30 minutes. Step 5: Wash off with warm water. Do this for a few days until your pimple heals. Quassia indica is a well-known herb in Ayurveda. It is used for treating multiple diseases. 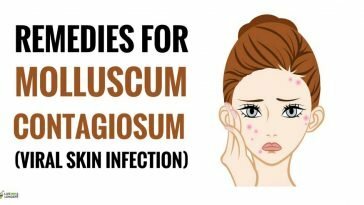 The leaves of Quassia indica plant have essential phytochemical contents and antibacterial properties to fight the infection that causes pimples. Hence, when applied topically on the skin infection, it heals faster. You are consuming it. The remedy is only meant for topical application. Step 1: Take two or three garlic cloves, a cotton ball (or cotton swab) and a small glass of water. Step 2: Crush the garlic cloves a bowl and extract the juice. Step 3: Add the juice to the water and stir well. Step 4: Wash your face and pat dry. Step 5: Use cotton to apply on the affected areas. Step 6: Let the mixture dry for 10 minutes before washing off with warm water. 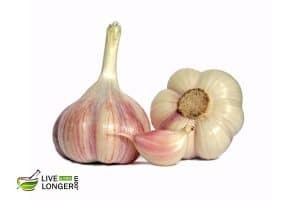 The major chemical component in garlic is allicin, and it is well known for its antibacterial and antifungal properties. It also contains selenium that is a major contributor to the positive abilities of antioxidants. Similar to selenium, garlic also contains copper, Vitamins C, B6, and zinc. It also acts as a facilitator for smooth flow of blood, giving the skin a shiny look. You have sensitive skin. Without dilution, the garlic mixture can give a sting. The sensation will reduce within three days of applying the mixture continuously. 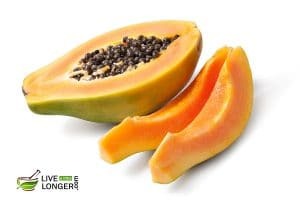 Papaya is native to Southern America. It has a thick buttery flesh with a sweet taste. Also monikered as the Fruit of Angels, papaya has a lot of benefits when it comes to health. Step 1: Rinse your face with warm water and then pat dry. Step 2: Take a fresh papaya, slice a piece, and then mash the slices well. Step 3: Apply the paste and let it remain in the face for twenty minutes. Step 4: Continue this process until you see a difference. The enzyme called papain removes the dead cells of the skin as well as inflammation. The Vitamin A in papaya assists in the breakage of inactive proteins and removes dead skin cells. You are allergic to latex. You can suffer from skin reactions. Step 1: Buy tea tree oil that is 100% natural. Step 2: First, clean your face with warm water and pat dry. Step 3: Dilute the oil with water. Step 4: Pour a few drops of this solution on the cotton ball. Step 5: Apply it on the face. Step 7: Wash off with water in the morning. The medicinal component is terpinen-4-ol responsible for its antimicrobial activity. 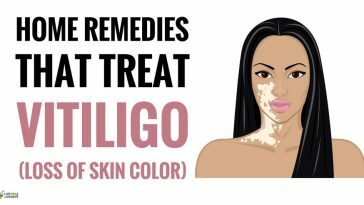 Since it is an oil, it can penetrate the skin deeply, disinfect the entire area, and prevent further outbreaks of pimples. You are allergic to tea tree oil. You are consuming it. The oil is for external use only. Step 1: You will need a potato and one cup of warm water. Step 2: Wash the face with water and pat it dry. Step 3: Grate the potato into small pieces. Step 4: Apply the pulp and juice on the face. Step 5: Let the paste dry. Wash with warm water. Step 6: Continue the process for two weeks for best results. This method is good if you have oily skin. 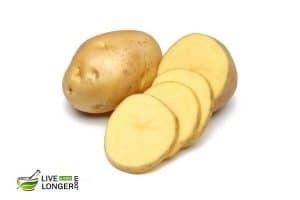 The collagen is stimulated, and potatoes are rich in Vitamin C, the antioxidant that can enhance healing and prevent damage to cells. Pimples are eliminated in an easy way. No severe skin side effects have been documented for this ingredient. 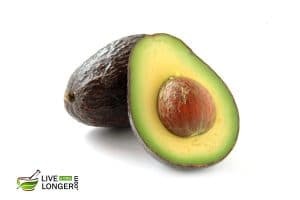 Avocados are pear-shaped fruits, which are loaded with miraculous beauty and health benefits. Otherwise known as alligator pears or butter fruits, avocados are native to Guam, Central America, and Mexico. These fleshy, green fruits have been cultivated for since ages. Since they are naturally fortified with a plethora of vital nutrients, they are helpful in the treatment of skin and health problems. For all types of skin, to prevent pimples, this process suits the best – avocado and honey mask. Step 1: You can have a fruit of avocado and a tablespoon of honey. Step 2: You can scrap the inside contents of the avocado fruit and then mash it up. Step 3: You can join in the honey in the fruit in a bowl, and then mix until they become a paste. Step 4: You can apply the paste to the skin and leave it for twenty minutes. Step 5: After the duration, you can wash the face with water and pat the face dry. Vitamin E in skin eliminates the free radicals that cause damage to healthy skin cells. Vitamin A in the fruit assists in the treatment of dry flaky and peeling skin. Vitamin C is essential for building up collagen thus promoting elasticity and skin strength. Healthy skin is brought back to order, and you get relief from pimples. You have an extremely oily skin. Though this mask is safe, still every skin is different. It is always good to test before trying the remedy. You are using processed honey. 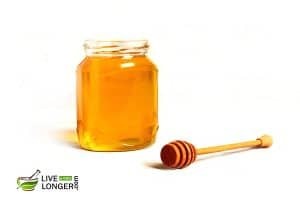 We recommend you to use 100% organic honey for best results. Step 1: Take some fresh Sesbania grandiflora leaves and clean them thoroughly. Step 2: Grind them in a mixer to form a smooth paste. Step 3: Apply this on your pimples and leave it for 30 minutes. The leaves of Sesbania grandiflora plant work amazingly pimples is due to their antibacterial properties and presence of secondary metabolites such as flavonoids, alkaloids, phytosterols, tannins, etc. No possible side effects have been documented on the application of this herb topically. The tangy flavor of lemons adds a great taste to any dish. But, did you know that they can do wonders for your skin too? Well, yes! In fact, many women use lemons regularly in their beauty regimen. It acts as a natural exfoliant by removing all the dead skin cells and prevents further breakouts. Apart from treating the skin problem, it also lightens the blemishes, evens the skin tones, adds a natural glow, tones the oily skin, and fights wrinkles. Step 1: Take two tablespoons of green gram powder. Step 2: Mix sufficient amounts of fresh lemon juice to it. Make a paste. Step 3: Apply the mixture on your face like a pack while concentrating more on your pimples. Step 4: Leave it for 45 minutes. Step 5: Wash off with warm water. Repeat this process thrice in a week for best results. Lemons are a good source of citric acid, potassium, magnesium, antioxidants, minerals, and vitamin C, which not only treat the pimples but also lighten and brighten the infected dark skin region. Vitamin C acts as a natural antioxidant here. It neutralizes the free radicals and boosts collagen production. Hence, it helps in lightening dark spots, age spots, and tan as well. 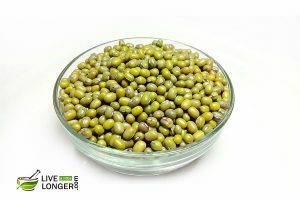 Green gram contains natural bleaching and antiseptic properties, which help in treating the pimples much faster. Also, your skin needs good amounts of carbohydrates to keep itself healthy. You will be happy to read that green gram constitutes about 56% carbohydrates. You are consuming it. The pack is meant only for external application. 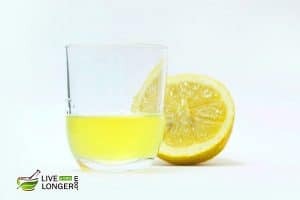 You are using only lemon juice. It can make your skin drier. This is why we have substituted with green gram. 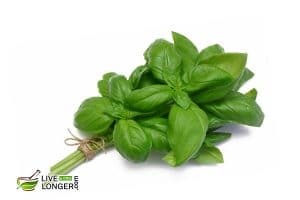 Scientifically known as, Ocimum Tenuiflorum, the leaves of basil have potent antibacterial, anticancer, antiviral, and antioxidant properties. You will be quite fascinated to read that holy basil has been traditionally used as a natural antidote to treat wounds that were a result of poison. However, many Indian women apart from worshipping, use these leaves for maintaining healthy skin. Whether it is acne, pimples, or blackheads, basil can do wonders. Wondering how? Well, it is their natural nutrients and antioxidants. It purifies the blood, lightens the skin, shrinks the pores, and prevents breakouts. Step 1: Take some fresh basil leaves and some camphor. Step 2: Grind the two in a mixer. Step 3: Apply the mixture on your pimples. Step 4: Leave for 20 minutes. Step 5: Wash off with cold water. Repeat the procedure thrice a week for best results. Note: Before you try this remedy, do a patch test for safety. The reason basil leaves work effectively on pimples is due to their essential chemicals and compounds namely volatile oils (methyl chavicol & linalool), cineole, methyl cinnamate, geraniol, citronellol, pinene, myrcene, terpineol, ocimene, and E-beta-caryophyllene. Camphor contains some volatile chemical variants known as chemotypes. Further, the active compounds that help in the treatment of pimples are linalool, camphor, nerolidol, 1 & 8-cineole, safrole, and borneol. You are suffering from severe skin rashes. You have a migraine. The smell of camphor can worsen it. You have pimples on your lips. Do not apply this remedy. It is natural that many go to the pharmacist to get relief from pimples that can be termed as the first level of defense. However, it is wise to remember, the nature of a pimple depends on the individual’s body and physical condition. Only a dermatologist can provide the right type of advice and options for treatment. In teenage, you are more prone to pimples. It is also true; many of the cases can be easily handled without prescription. 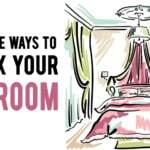 Next article 5 Simple Ways To Detox Your Bedroom! Hi, I am a boy and I would like to clarify if this remedy if applicable only for girls or is it applicable for boys too? Yes Mr. Smith. For both! This is very useful for improve our skin and maintain the moisture,avoid the pimples quickly..
the above mentioned remedies were so useful and gave me immediate responses when i made use of them. they not only cleared the pimples but also helped me in clearing my spots! i loved using sandal wood remedy especially, it makes my face more soft and also alleviated the pimples and spots!!!!!!!!!!!!!!!!!!!!!!!!!!!!!! Yeah!! 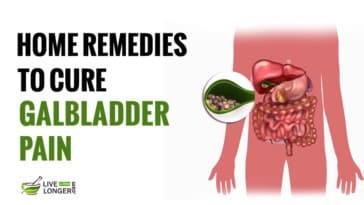 these remedies worked for me!!! Thank you!!!! I tried on sandalwood and Aloe Vera. It makes my face feels smooth and good. Thank you for the remedies!! 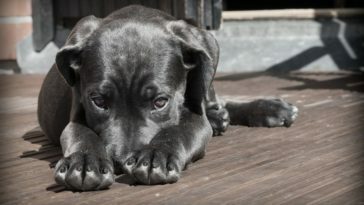 Will the sandal wood remedy really works?? I have tried aloevera it really works and it make my face fresh but how to remove the black marks? We hope that this remedy helps you to cure your pimples and we are hoping for a positive feedback from you.